In a landmark judgment, Uttarakhand High Court has directed the state government to provide infrastructure and other amenities to the government and aided schools in the state within three months. A division bench comprising Justice Rajiv Sharma and Justice Alok Singh also directed to provide free uniforms, mid-day meals etc to students. The case was referred to the division bench on the request by a single judge, who came to the conclusion that the matter involved common public interest and was required to be examined by a larger Bench. 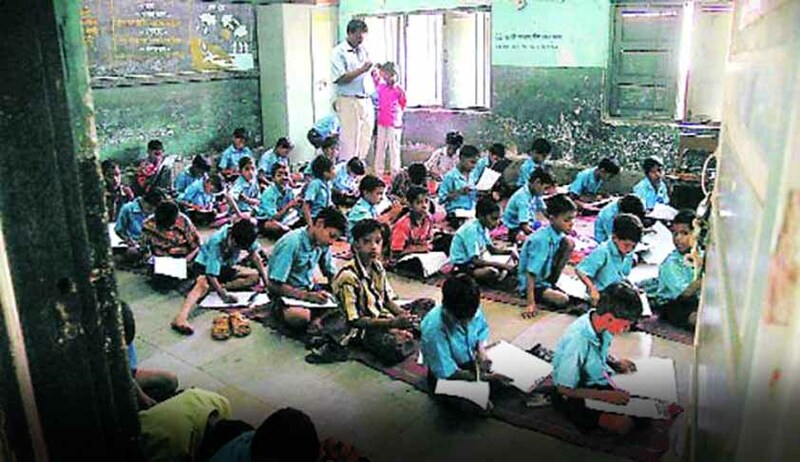 According to the report filed by the government, there are about 12,533 Primary Schools, 2,809 Upper Primary Schools and 2,203 Secondary Schools which come under the government control, while there are about four Primary Schools, 184 Upper Primary Schools and 301 Secondary Schools -private and aided under the Uttarakhand Education Board. The State Government gives grant-in-aid to these schools for payment of staff salary, whereas, in the case of Government Schools, the Government bears all the expenses. The division bench held that the expression ‘free and compulsory’ education casts duty upon the State Government and other educational institutions to provide basic infrastructure in the schools to make the Article 21-A of the Constitution meaningful. "It is pity that even after more than 68 years of independence, we are making the children sit on mats in winter as well as summer", said the Bench. The bench further observed that it is the duty cast upon the State Government to provide blackboards, furniture, well equipped science laboratory and computers to the schools. There is also an urgent need of separate toilets for girls and boys. Furniture has not been provided in all the schools and only mats have been provided. Majority of girl students have no access to the hygienic toilets. To provide all the schools with benches, desks, blackboards (with chalk and duster), computers, well stack library and well equipped science laboratory within three months. The state government is directed to construct hygienic toilets for boys and girls separately. The head of the institution shall be personally responsible to maintain hygiene of toilets. The state government is directed to provide two sets of uniform to all the students of government schools as well as aided-schools twice in a year. The state government is directed to provide midday meals to all the students upto secondary level. The state government is also directed to ensure that all the school buildings should be well-lit and duly ventilated. The state government is directed to provide sufficient number of water purifiers as per the strength of the students in all the schools for drinking water. In winter-closing schools, all the schools should keep adequate number of heaters and the building should be kept warm. In summer closing schools, sufficient number of ceiling fans should be provided. The State Government is directed to increase the grant for duly recognised and affiliated madrassa to at least Rs.20,000 per annum under Sarv Shiksha Abhiyan. All the students belonging to SC & ST and BPL categories shall be paid suitable stipend. All Primary Schools, Upper Primary Schools and Secondary Schools shall ensure the implementation of the provisions of the Right of Children to Free and Compulsory Education Act, 2009, in letter and spirit.